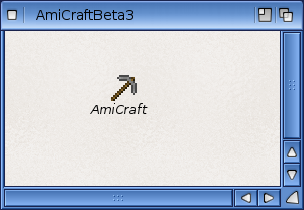 Today I am taking a look at the recently released game called AmiCraft (in Beta 3 form) for AmigaOS 4.1 on my X1000. 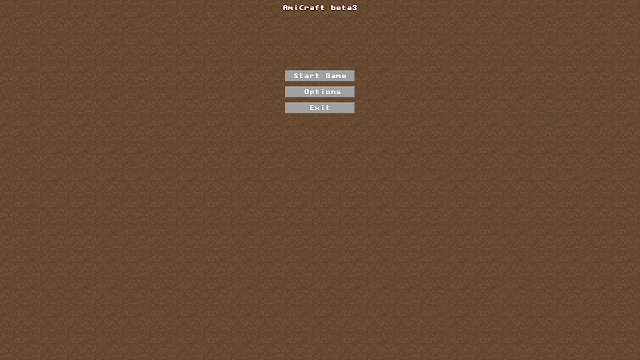 AmiCraft is a game based on the very popular Minecraft game, released on Windows, Mac, PS4, Xbox and other formats too since 2011. 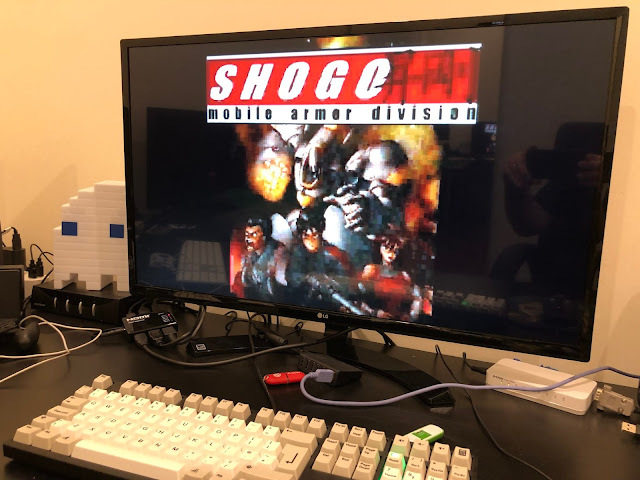 It is great to see this game on AmigaOS 4.1! 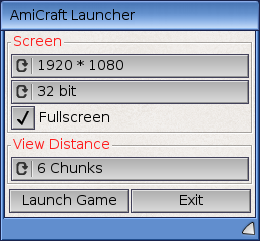 When running AmiCraft, it prompts you to select the screen resolution, full screen or window mode, and how far into the distance to render the view. These settings would probably need to vary if you ran a Sam 460, but today I am testing on the X1000 so I use the full 1080p resolution! 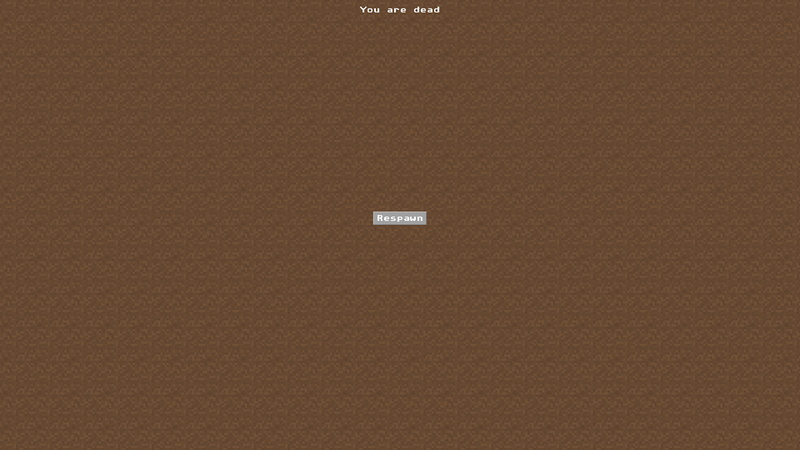 The game itself starts based on a randomly generated map, with your character initially having no possessions and a full health bar that is reduced when attacked by creatures like Spiders and zombies! 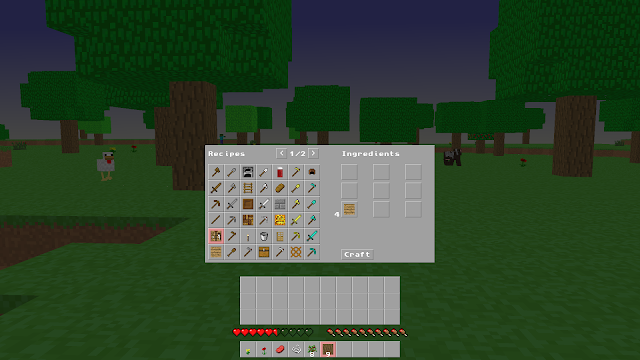 The game is running in Survival mode, where the aim is to survive - one of the modes in the original Minecraft that it is based on. 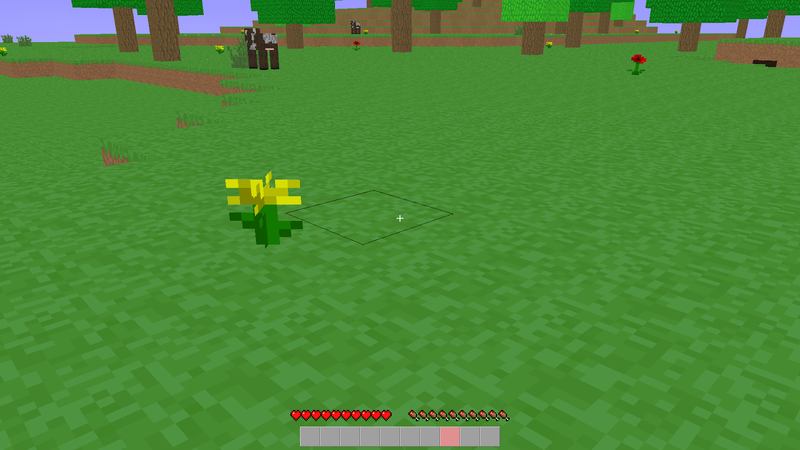 The blocky nature of the 3D tiles that make up the AmiCraft map is the same as what is done in the Minecraft game it is based on, and is quite deliberate. The mouse acts as the directional view, the mouse button is used to use whatever you have in your inventory, and the scroll wheel moves between items in your inventory. 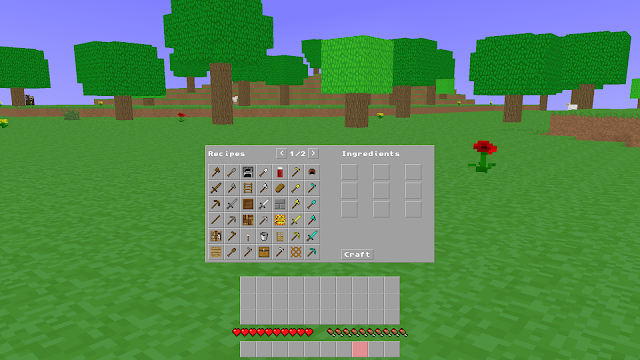 It is necessary to collect resources to craft these items. 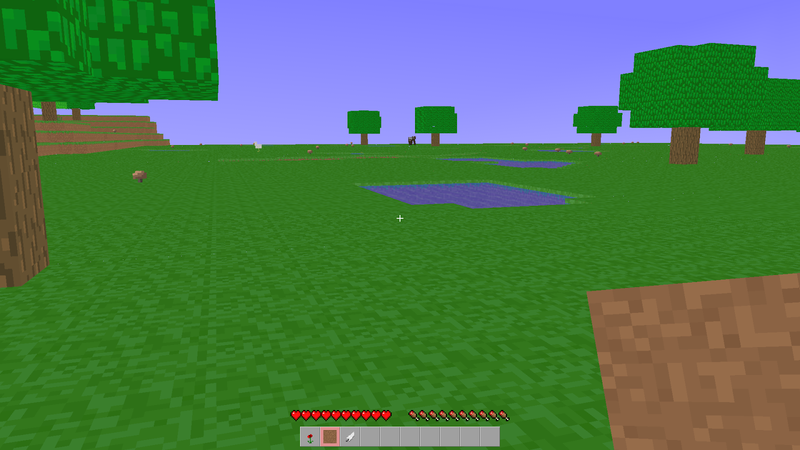 By clicking on them you can see what resources are needed to be collected from the map in order to ctraft them. 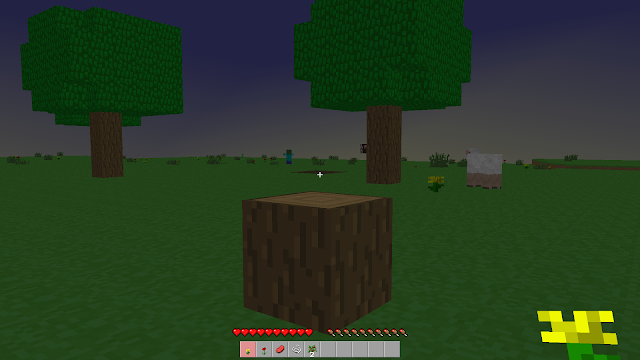 There are friendly creatures like cows, sheep, etc, dotted around the map that will not try to kill you. They can be killed for food. 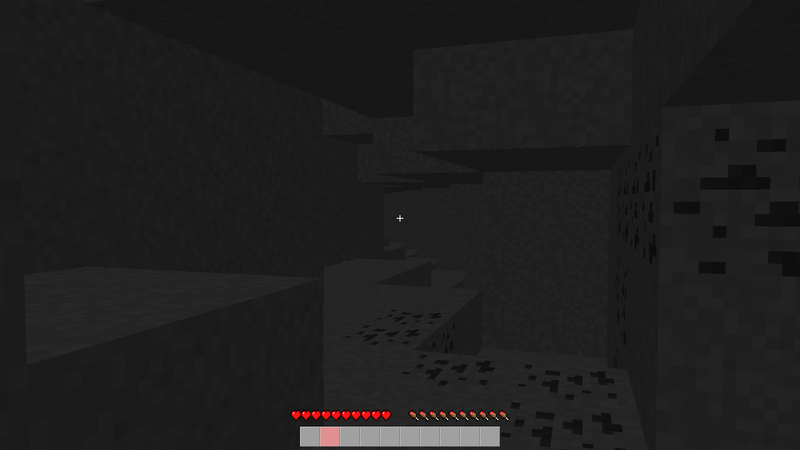 Looking around the maps some more reveals some underground cave systems. 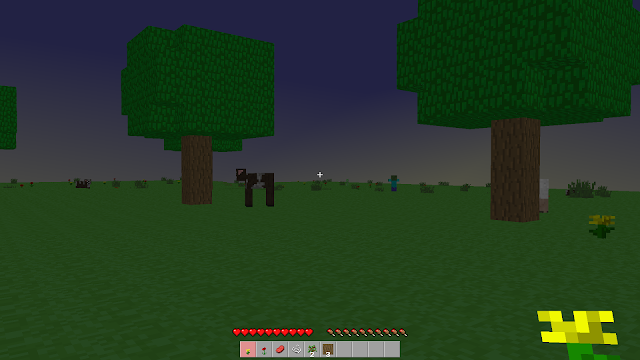 In here you will find spiders, Zombies and other nasties waiting for you...it is certainly dark! 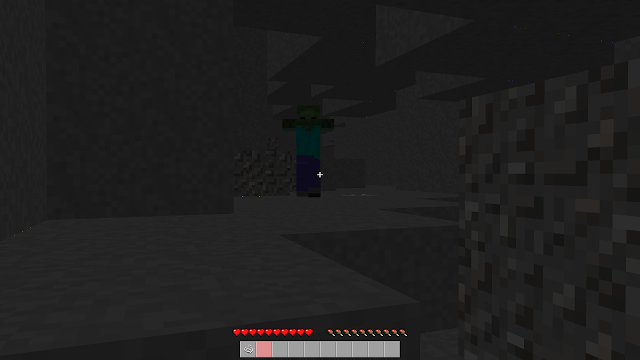 When you are killed you are respawned back on the map. Day turns to night and back to day around every 20 minutes of game time. At night time more enemies appear randomly on the map to be avoided or attacked. You can collect resources like wood by removing tiles that make up the trees on the maps. I show this below. 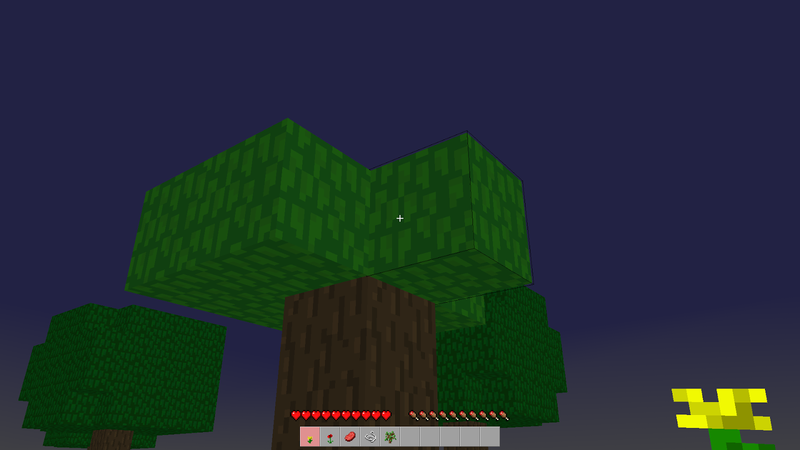 Move close to the tree and remove each tile with the mouse. 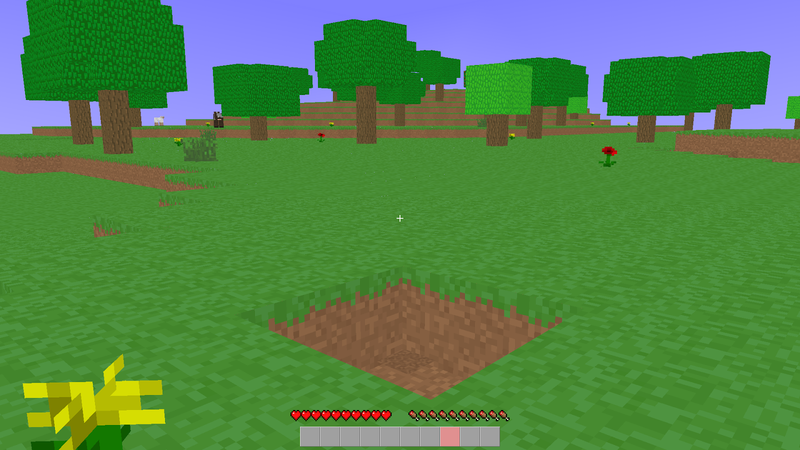 As this is done, resources fall in the form of small objects you can walk over to collect. Eventually you can remove all the tiles of the tree, releasing all of it's resources. 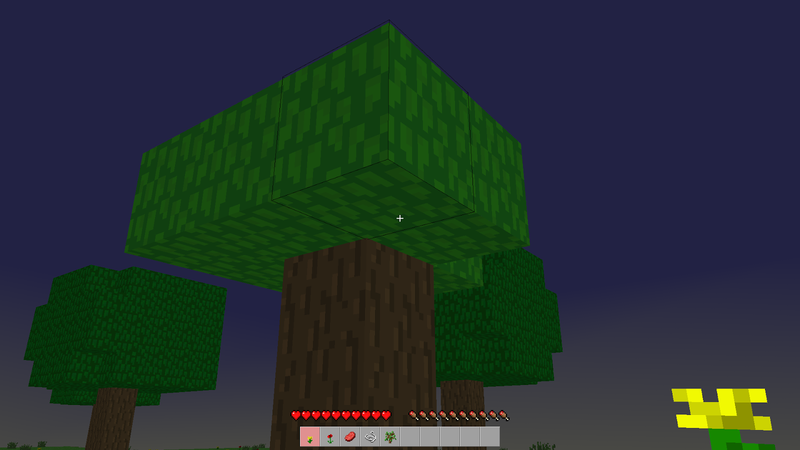 Below is the last piece of the tree trunk - the resources of wood released are hovering above it, and will drop to the ground once the last piece is removed for easy collection. The more I played the game, the more I got into it. I do miss not having any ambient music, but hopefully that will come later. There is a lot to this game, and it really does look like a lot of fun to play. This is my first time to play Minecraft style game, and I am glad to play it on my X1000! 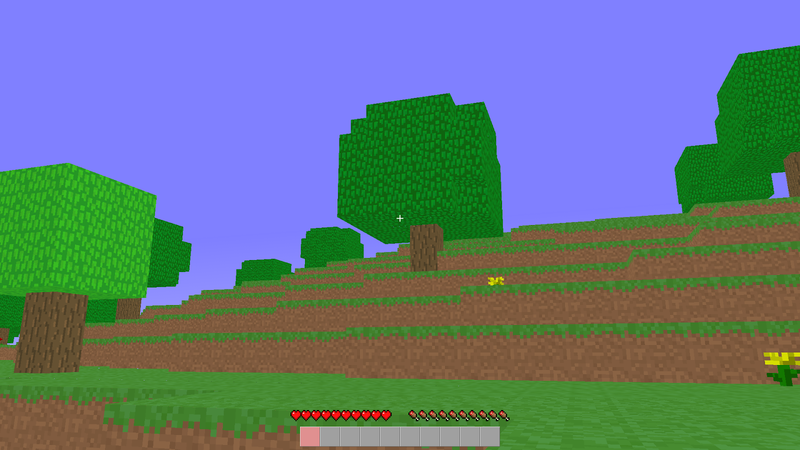 The map is smooth to walk around - I didn't notice any real slowness, but note that I haven't played the original Minecraft to compare it to. 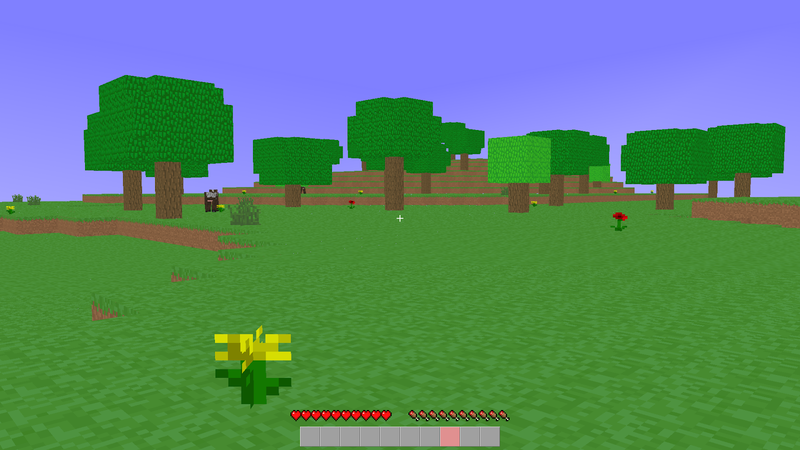 I think some background ambient music in AmiCraft would really help and add to the game. 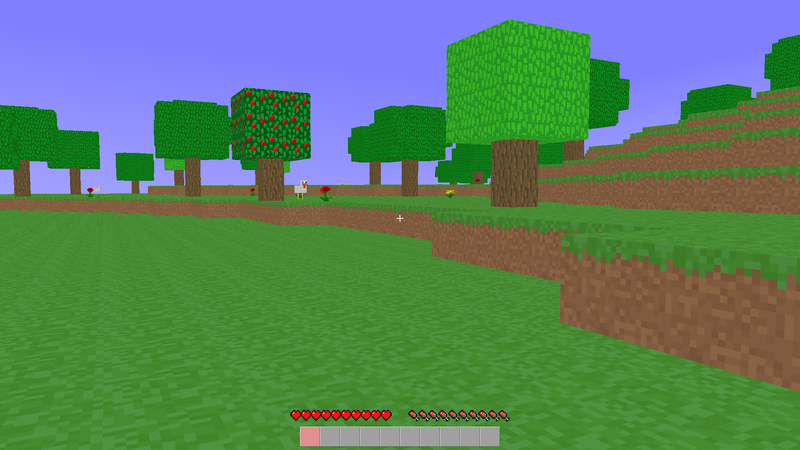 After playing AmiCraft on the X1000, I can really understand why a new generation of teenagers are really getting into Minecraft now. 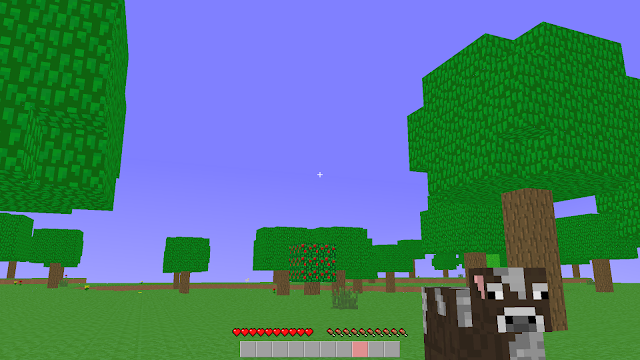 AmiCraft is a lot of fun, free to download, and recommended to try out!